P5000 will be your powerful Swiss Army Knife in your hand. People use smartphones to call, listen to musics, watch videos, gaming and organize etc. And don't want to see the warning says "10% of the battery is left', that makes us all feel anxiously and insecure. All smartphone factories know that, and some of the best released their long battery life smartphone in 2014. LG G Flex has a 3,500 mAh battery that would last 18 hours. Meanwhile, Nokia Lumia 1320 said it lasts surprisingly 43 hours by using 3,400 mAh battery. Then Huawei announced Honor Ascend Mate 7 with 4,100 mAh top-notch battery. And now it's Elephones turn. The Elephone P5000 will be equipped with a super large battery, which has the largest capacity of 5,650 mAh. It's not just a smartphone, but also a powerbank that you can use to charge your friends' smartphones. They won't be more thankful when they need it most. Best of all, Elephone want their fans and future consumers to determine what specifications they want on P5000. On November 11th, there will be polls on Elephones Official Forum and other cooperative forums. 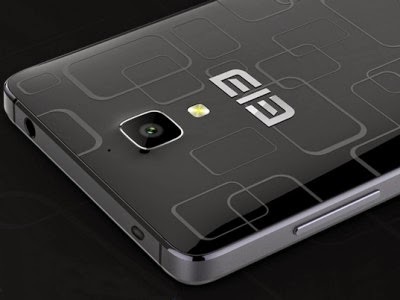 Elephone welcome comments and suggestion on their Facebook too. Elephone satisfy the desire of majority consumers. And also, Elephone sales promotion will take place, most of the products has 20% off. The total sales volume of China on the same day last year reaches hundreds of millions USD. Please pay close attention to Official Elephone and facebook, and get the best deal of this year. Check also the Introduction video for the Elephone P4000 below.